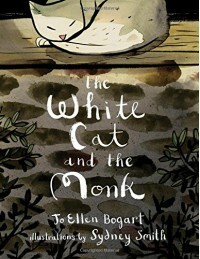 A re-telling of a 9th century Irish poem which, by its very simplicity, captures the essence of Zen spiritual enlightenment through the relationship between a monk and his white cat. Throughout these few elementary words and the delightful accompanying illustrations, neither cat nor monk dreams of glorious rewards for work done. They exist, finding joy in the execution of their everyday tasks: for the white cat, the pursuit of mice; for the monk, the pursuit of knowledge. Therein they find that mystical inner peace which no amount of aggressive action can ever catch. A beautiful book that I'll return to often to lift my spirits with a quick and inspiring read.